One could be forgiven for thinking that the election of a popular Democrat president in 2008 who had promised peace and an end to the wars in Iraq and Afghanistan, that the world could have looked forward to peaceful days ahead. Instead the war in Iraq has backfired on the US and has led directly to the mess the Middle East now finds itself in as the Islamic State (IS) spreads its poison across the region. All that President Obama seems to have achieved is to postpone what now seems to be the inevitable explosion that will likely occur after he has gone. Gaza Strip and taken their freedom and lands in the West Bank. Meanwhile, the ‘Arab Spring’ saw the disintegration of Syria, Libya and Egypt. As the Syrian civil war turned into something akin to the Spanish Civil War where foreign fighters flocked to fight governments and then each other as it degenerated into a bloodbath where thousands died, Obama was unable to prevent Iraq from being sucked into the vortex of so-called ‘Islamic extremism’. Obama’s failure was his inability to see how inevitable this all was. Obama’s inability to resist Israeli demands that the Syrian revolution against President Bashir al-Assad be supported by the US meant that the violence there escalated out of control as the various factional interests fighting against al-Assad’s government began to polarise into powerful groups that eventually coalesced into what we see there today; a pseudo-religious anarchical-fascist phenomenon that seems to be growing exponentially. And initially all this was allowed to happen because of Israel and America’s support for just about anyone fighting al-Assad and his allies Hezbollah and Iran. Now the situation has become almost out of control. Feeding the so-called ‘Islamists’ is the US and their allies’ air attacks against IS in Iraq and Syria which seems to achieve nothing except infuriate the extremists to the point where they become ever more blood-thirsty in the lands they occupy and threaten to attack those countries that attack them using violent acts of terrorism. Right-wing Western governments, including Canada, New Zealand and Australia, have pledged support to the effort to confront IS thus exposing the peoples of those nations to retaliation. Obama has found himself in a strange place where he knows that Americans are fed up with war. Iraq cost America dearly. Obama knows he can’t go to war again for Israel as Netanyahu has demanded. Iran is not Iraq. While Iran supports al-Assad in Syria, Obama has kept that issue away from his attempts to find a way to ensure Iran does not have a nuclear weapons program. Obama, rightly, regards diplomacy and negotiation as the way to settle the issue while the Republican warhawks, the neoconservatives and the Christian Zionists of the Western world together with the right-wing Zionists of Israel would prefer to use force. They regard Iran’s nuclear program as an ‘existential threat’ to Israel. For years Israel has accused Iran of having a nuclear weapons program and that Iran is hell-bent on ‘wiping Israel off the map’. Netanyahu has not let go of this meme and now, as Obama’s presidency comes into its final months before in the run up to the 2016 Presidential elections, the warhawks in both the US and Israel begin clamouring again for action against Iran. Helping their cause is the rampant growth of IS atrocities, military successes, and apparent attraction of their cause to Muslim youths trapped in a Western world that they see as Islamophobic and which has evolved into a vicious cycle of mutual hatred – one that ultimately the disaffected youth that are caught up in it cannot win. It is only a matter of time before the Western nations led by a Republican US government dominated by warhawks and neoconservatives go all out to crush IS in its tracks. Meanwhile, Israel, buoyed by both a renewed militarism in the US and a revitalised alliance with Israel that would characterise a Republican administration, would, with the full support of the US and its Western allies, deal with its own enemies Hezbollah in Lebanon and Hamas in the Gaza Strip. For the warhawks, Republicans and their extreme right-wing allies both in Israel and within the Western world, the up-coming elections in Israel and the 2016 presidential elections will be crucial. In Israel, the 17 March elections will likely return a staunchly pro-Zionist government into office no matter who wins – and one should remember that virtually the entire Israeli political system is right-wing compared to other so-called Western democracies. One should not be lulled into thinking that any party in Israel labelled as ‘left-wing’ is actually left-wing. The reality is that it’s simply not as right-wing as many of the ultra-nationalist extreme right-wing parties that envisage a Greater Israel free off all Arabs and including an annexed Gaza Strip and West Bank. Neoconservatives in the US are already promoting their preferred Republican candidates with Jeb Bush being seriously backed by the big money donators. 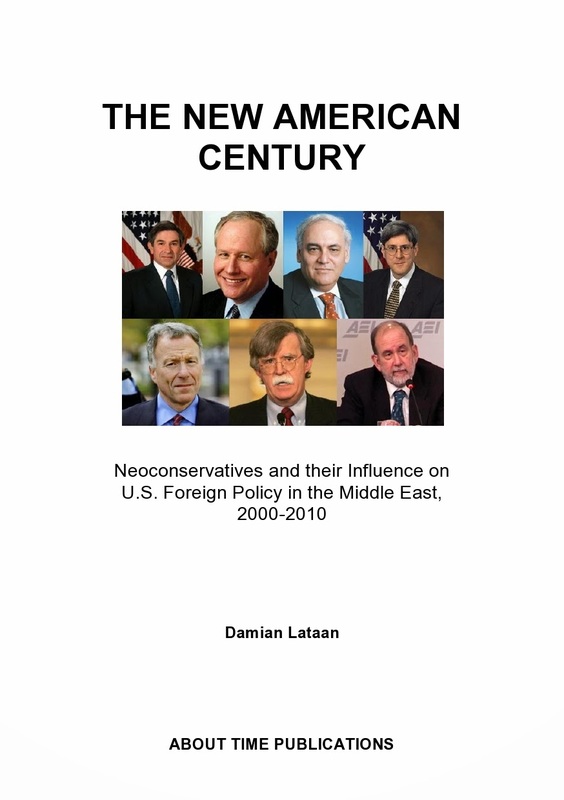 Scott Walker is also in the Republican frame being backed by the neoconservatives. On 20 January 2017 the world’s political landscape is likely to suddenly change for the worse if a foreign policy focussed Republican wins the presidential election, a right-wing nationalist Israeli government is formed after the coming 17 March elections, and no significant inroads towards the defeat of IS has occurred. For the people of the US, while they’d prefer to keep out of wars, the atrocities being committed in the Middle East by IS may prove to be a tipping point for many voters who may find a Republican promise to put an end to the reign of IS hard to resist. They may well fall again for the promise of a quiet Middle East once Iran and IS have been dealt with – just as they did in 2003. As the Obama years draw to a close and his promises of a lasting peace shattered, so the warhawks, neocons and their allies around the world with their delusions of Western Exceptionalism will once again bring the world to the brink of catastrophe in the Middle East – and possibly even beyond the brink. You could be forgiven for thinking that the Israeli extreme right must be nuts for being so obsessed about Iran when the Islamic State (IS), a far more bloodthirsty and ruthless organisation that borders on being an anarchistic-fascist organisation hell bent on destroying anything and everything that doesn’t conform to its beliefs, is almost at Israel’s northern borders. Rest assured, however, that there is method in Israel’s apparent madness. The Israelis for years, indeed, long before IS came along, have considered Iran as their mortal enemy accusing them of wanting nothing less than the destruction of Israel. To reinforce this notion, Israel accuses Iran of developing nuclear weapons for the sole purpose of attacking and destroying Israel. Israel says that ‘Iran is an existential threat’ to Israel, a call repeated only recently by Netanyahu when he addressed the US Congress in Washington on Tuesday 4 March 2015. The world, on the other hand, tends to think differently. Apart from the fact that there is no evidence whatsoever that Iran has a nuclear weapons program, the US, Britain, France, Russia, China and Germany, the so-called P5+1, believe that Iran can be prevented from the possibility of moving toward being nuclear armed by a mixture of negotiation and sanctions. These negotiations, instigated by the US under Obama’s administration, have all but destroyed Israel’s aspirations to get the US to attack Iran ostensibly to destroy Iran’s nuclear facilities but in reality to affect regime change in Iran. For Israel and their Republican and neoconservative supporters in the US, regime change in Iran is essential because it would strip Israel’s enemies at home, Hezbollah in Lebanon and Hamas in the Gaza Strip and the West Bank, of their ability to resist Israeli aspirations to create a Greater Israel that includes annexing the Gaza Strip, the West Bank and possibly even southern Lebanon up to the Litani River. Regime change in Iran will also effectively put a halt to Iranian hegemony and influence throughout other regions of the Middle East including Syria, Iraq and the Yemen. This would then allow a right-wing led future US government to launch a full-scale offensive against IS and what remains of Bashir al-Assad’s government in Syria while Israel launch all-out attacks against Hamas and Hezbollah. All this though requires a change of political scenery in the US; a change that could well occur at the next US Presidential election in November of next year. Jeb Bush, George W. Bush’s brother, has already thrown his hat in the ring for nomination as the Republican candidate and has taken on advisors who are well known Zionist supporting neoconservatives. Israel has an election coming up on 17 March this year and it is likely that the right-wing of Israeli politics will prevail with Netanyahu a strong possibility of retaining the Prime Ministership and, if not Netanyahu, then, in what I consider to be the worst case scenario, the Zionist extremist Avigdor Liebermann who has called for regime change in Iran, the invasion and annexation of the Gaza Strip and the West Bank, and the destruction of Hezbollah. It seems clear to me that the purpose of Netanyahu’s provocative speech to Congress last Tuesday was to pave the way for a drastic realignment of US foreign policy after the US Presidential elections in 2016, a realignment that favours Israeli plans for the future of the Middle East returning hegemony firmly back in the hands of the US and Israel and rendering Iran’s influence null and void thus realising Israel’s dream of creating a Greater Israel. The execution of Andrew Chan and Myuran Sukumaran is imminent and, as the Indonesian ambassador to Australia Nadjib Kesoema has said, ‘the situation was final’ and there was ‘nothing Australia could do to save Chan and Sukumaran from the firing squad’. The reality, however, is that there was never any intention of Australia doing anything to save them from a firing squad in the first place. Right from the very moment the Bali Nine set foot on the aircraft in Australia that took them to Bali they were doomed. If the Australian government wanted to save them from the firing squad then they would never have let them get aboard that aircraft knowing full well what the Bali Nine were planning and what the consequences were going to be. Right from the very beginning of this sorry saga I have argued that the Bali Nine were deliberately set up and that the Australian Federal Police (AFP) and the Australian government at the highest levels, including the Prime Minister at the time, John Howard, and the AFP chief at the time, Mick Keelty, together with then Attorney-General Philip Ruddock, conspired with the Indonesian authorities to have the Bali Nine caught red-handed smuggling drugs and that in the subsequent trials the ringleaders would be sentenced to death and ultimately executed. The intention as far as the Australian government and the AFP were concerned is to let the executions serve as a deterrent to other Australians thinking of smuggling drugs in or out of Indonesia or, indeed, any other country that has the death penalty for dealing in drugs. Australia hasn’t been anywhere near forceful enough in its dealings with the Indonesians in trying to save the lives of Chan and Sukumaran. Both Howard then and Abbott today have done nothing to try and save their lives other than plead personally to the Indonesian presidents of the time to commute the death sentences. Both have claimed they respect the laws of other nations and also have said they did not want to upset the good relationship between Indonesia and Australia and can do nothing more than make personal pleas to the Indonesian president. But these are hollow words. They claim to respect the laws of other nations, but do they really? This so-called respect doesn’t extend to countries that execute gays as in Iran and Saudi Arabia, which successive Australian governments have vigorously criticised, yet ignores other countries that execute innocent prisoners or execute those whose crimes were committed when they were just children or execute those who are clearly intellectually disabled all of which happens all too often in the United States. The hypocrisy of the Australian government continues as the Abbott government completes the task Howard, Ruddock and Keelty set out to achieve; to deliberately have Australians executed despite having no death penalty in Australia and allow an Indonesian firing squad to become Australia’s proxy executioners. While the forerunners and later derivative groups of what is now ISIS, or IS as they now prefer to call themselves, were busy fighting Israel’s enemy in Syria, Israel and the US together with their Western allies were content to let the al-Assad regime forces and the Islamists slug it out between them. Both sides remain, however, the enemy of Israel. But, as the civil war in Syria progressed, so the various Islamist forces ranged against al-Assad began to coalesce. Though still not quite fully united, the group that now calls itself the Islamic State has emerged by far the most influential. It has grown almost exponentially over the last twelve months or so and has now spread itself into Iraq where it has become a regional threat as it continues to collect more and more fighters both locally and from overseas. But its growth has now reached a tipping point. Not only is it a threat to the already unstable politics of Iraq as the movement expands eastward out of Syria into Iraq, but it has now also become a threat to Israel as Israel and its Western allies begin to realise that IS hasn’t taken its eye off the ball in western Syria where it borders with the Israeli-occupied Golan Heights. So far the Islamists that have flocked to the so-called ‘Islamic State’ forces have been busy consolidating their forces in the territories they now occupy where they are using local recruits to slowly expand holdings in order to build and establish their ‘caliphate’. However, in western Syria the IS are now also beginning to become influential and the Israeli fear of having them on their border has startled the Israeli government and, just to assure IS that Israel is still a potent force, Israeli yesterday demonstrated its potency by shooting down a Syrian jet strike aircraft when it strayed over the border into Golan Heights airspace on the very same day that the US and their allies attacked IS targets in Syria. With the US attacking IS and Israel demonstrating there is no let up in its desire to see al-Assad gone, it’s clear that Israel remains intent on not allowing the polarising of forces fighting each other in Syria to influence its own long term strategic goals of defeating both the so-called ‘Islamist’ extremists on one side and al-Assad and his allies Hezbollah and Iran on the other. It’s also clear that Israel and the US, together with their allies, have colluded with each other to define a strategy to defeat a direct threat to Israel without letting it be seen that the West and its allies are taking the battle to the IS in Syria in order to protect Israel. It could very well be the reason why Netanyahu called a sudden halt to the onslaught against the Gaza Strip at a time just when his extreme right-wing partners in his government were calling for the complete occupation of the Gaza Strip and the destruction of Hamas. As the ceasefire in the Gaza was announced almost unilaterally by Netanyahu there was barely a murmur of protest from the extreme right-wing. Something clearly had upset Netanyahu’s plans for the Gaza Strip. Could it have been the growing threat of the IS potentially coming to Israel’s doorstep in the Golan Heights? It certainly seems that way. According to this Guardian report Abbott has ‘played down the possibility that Australia’s renewed involvement in Iraq would increase the chance of terror plots against Australian targets. He said Australia was targeted in Bali in 2002 before any involvement in the previous Iraq war’. This is utter nonsense. All Abbott is attempting here is to mimic John Howard’s ridiculous attempt to hoodwink the Australian people over the reasons for the Bali bombings. Today’s terror threats – if, indeed, there really are any – are as a direct result of this government’s plans to send Australian forces to Islamic lands for the purpose of killing so-called ‘Islamic’ militants. And, while the Bali bombings did happen some six months before Howard joined the US in invading and destroying Iraq in March 2003, the bombings occurred because the Indonesian militants that were responsible for the bombings knew, just like all Australians knew, that, despite all of Howards worthless denials at the time about not having made a decision about going to Iraq, that there was never any doubt that he would. Howard used the Bali bombings for his own political purposes and may even have manipulated circumstances to have allowed the outrage to occur. For Abbott to infer that the present threat level isn’t as a response to Abbott’s plans to enjoin the US in their fight against so-called ‘Islamist’ militants is downright garbage. And, in light of the way Howard used the Bali bombings to suit his political agenda, one has to wonder to what extent threats today in Australia haven’t been contrived to suit Abbott’s political agenda. Last month I suggested that Australian SAS forces were already in Iraq. I suggested this based on the assertion by an American neoconservative writers indiscreet wording in an article that said, “Western commandos such as Seal Team Six, Delta Force and the British and Australian SAS should also expand operations to carry out the kind of intelligence-driven leadership targeting that was an important part of the 2007-2008 surge”. The use of the word ‘expand’ and the tone of the narrative hinted that Australian SAS, together with other Special Forces, were already deployed to the region. Today, Mark Kenny, the Sydney Morning Herald’s chief political editor writes: “While a contingent of SAS commandos departed for the Middle East on Monday, Fairfax Media understands several SAS commandos have been in the region on standby for weeks.” What ‘standby’ means is anybody’s guess but I can’t imagine for one moment that they’ve been idle but, regardless of whatever they have been up to, their presence earlier on and long before any formal announcements made by Abbott regarding Australia’s involvement in the region indicates that Abbott had committed Australia to enjoin the US long before there was any debate on the matter. Kenny also goes on to write: “Mr Abbott said the fact that the legitimate government of Iraq had invited Australia to assist in defeating an insurgent force, made Australia's participation in the air and ground war legal”. While Abbott concedes there are legal problems associated with operating with allies inside Syria, he doesn’t rule entirely rule out the possibility saying, “I’m not ruling some action is Syria but it is not part of the government current intentions because, as I’ve said quite frequently over the past few days, the legalities of operations in Syria are quite different from the legalities of operations in Iraq”. However, when he was telling Australians and the parliament a few weeks ago that he’d made no decision about Australia becoming involved in Iraq, it’s obvious that he clearly had already decided what Australia’s role would be in Iraq. Why, then should he be believed when he says that going into Syria is not part of the Australian government’s intentions? And can we not question weather or not Australian SAS forces aren’t already in Syria as well as Iraq?